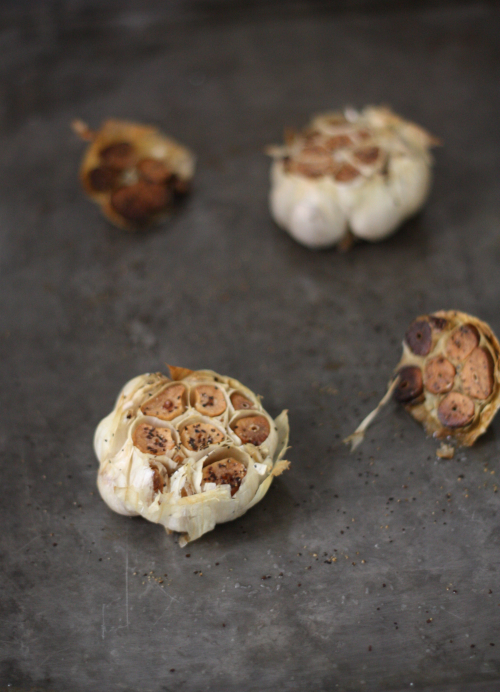 Let me just start by saying if you are a garlic fan, roasted garlic is just plain dangerous to have around the house. Once roasted, you can spread on bread, pizza, pasta, or a nicely grilled steak. Basically, if you have a jar of this laying around you will find excuses to use it — which will have all the health benefits, but may or may not please your better half! Preheat oven to 350 degrees and slice the top of the garlic off, generously drizzling with olive oil — then sprinkle with salt and pepper. Roast in the oven for about 40 minutes or until the garlic browns on top. Remove and allow to cool slightly. 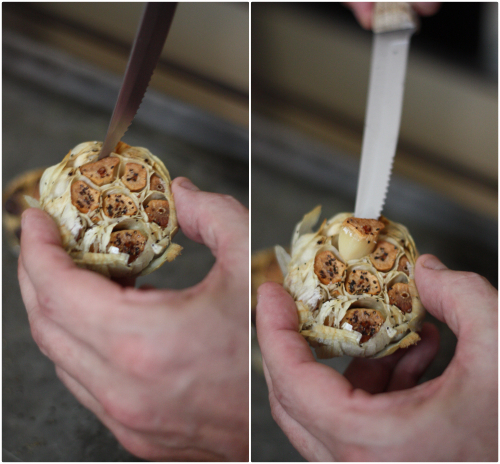 To remove the garlic in full cloves, just slip out of each section with the help of a knife — you'll get the full piece, though it will be perfectly spreadable/mashable. 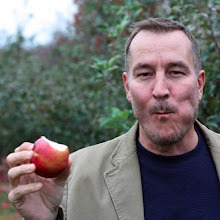 At this point you can certainly eat them, spread them, or add some olive oil to them! Please note, if you are not going to eat your garlic immediately it is best to put something acidic in the jar like lime or lemon juice just to help with preservation. 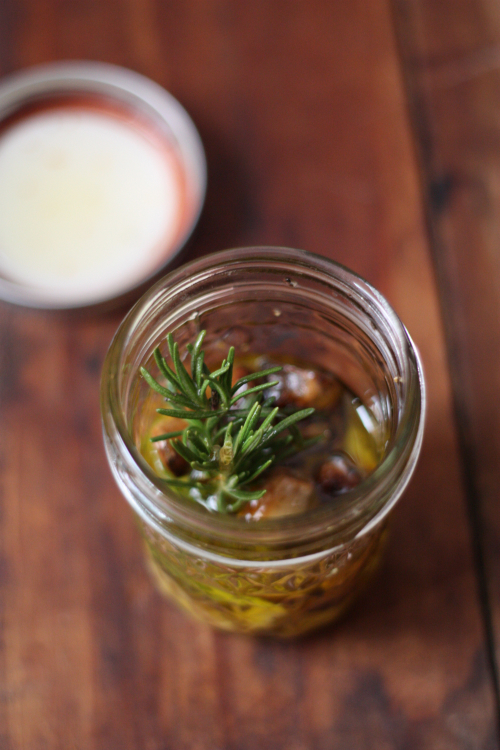 Finish with a sprig of fresh rosemary topped off with more olive oil. Seal the jar and give it a good shake. Store in the refrigerator and remove an hour or so before you are getting ready to use it to give the oil time to come back down in temperature. 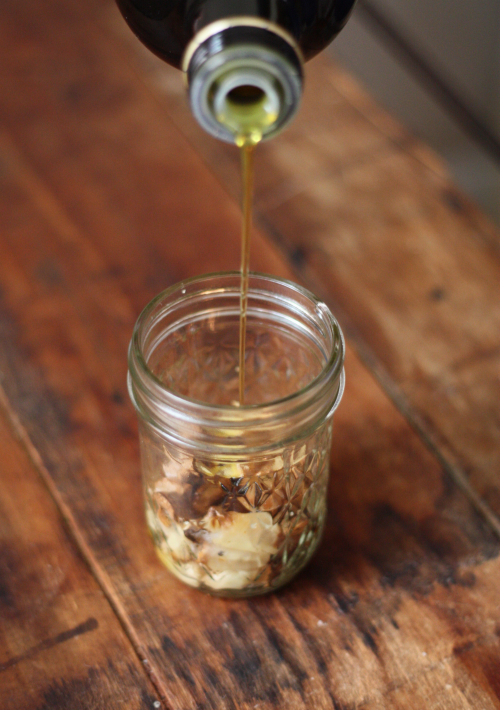 My roasted garlic rarely even makes it to the jar and is a favorite when grilling, as I usually have a bulb of garlic accompanying a beautiful steak! 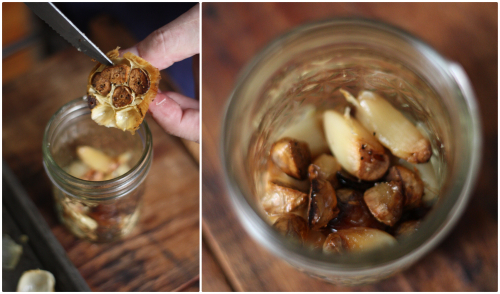 Ohhhh drool I love roasted garlic!!! 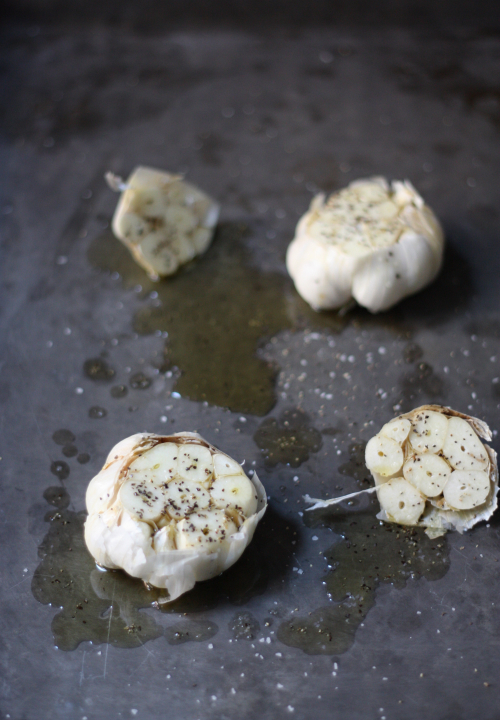 Yum, roasted garlic is one of my favorite things! not that it would last that long...but just in case? I have used it up to two weeks just remember the oil will congeal so you need to remove it an hour or so before you use it! 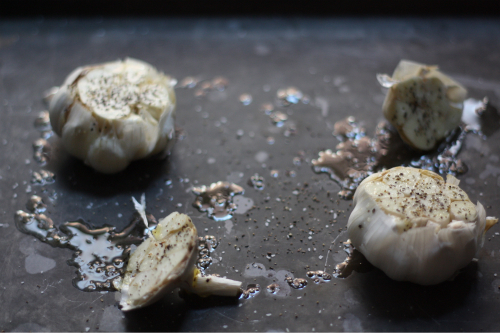 I love garlic but for some strange reason I've never roasted them. Thanks, can't wait to try it.